Proverbs 13:22A good man leaves an inheritance to his children’s children, But the wealth of the sinner is stored up for the righteous. We’re a nation of consumers and that isn’t news nor is it going away. Reverse mortgages, check-cashing loans, credit card debt are rampant means of getting extra cash. Gone are the days in which we live within our means. Have we stopped to consider our children in these situations? Your average 21 year old comes out of college with a debt of $32,000 in student loans and $4,000 in credit card debt, according to the Dave Ramsey crew. How is that student going to pay that off when an entry level job isn’t going to pay anywhere near the money it will take to make a dent in that amount? As parents if we are not set up to help take care of these costs, we must rely on loans, grandparents, and family members to foot the bill. With these statistics it is imperative that we should not take from our children nor be a burden to them. We need to begin wherever we are to save for our child’s education and their future. My godmother and I were talking recently and she said to me that as soon as I find out I am having a grandchild, I am to put $20 per week aside for that child’s future. So that ends up being about $20,000 with just simple interest. if I invested it, it would be more. Do we even comprehend that $20 is one fast food meal skipped per week? I don’t profess to be a saver. I love a sale as much as anyone, but we have an emergency fund and funds set aside for our future. I don’t want to be a burden to my kids. The bible says we aren’t supposed to be. Could it be that this is why the Lord makes such archaic statements in the bible? Save! Don’t consume all that you have. Proverbs 21:20 There is desirable treasure, And oil in the dwelling of the wise, But a foolish man squanders it. Give freely but don’t be a borrower. Psalm 37:21 The wicked borrows and does not repay, But the righteous shows mercy and gives. We have to set this thing up better for the next generation or they won’t be afforded the life we were. We have to begin to look at the consequences of the whole picture and not look at what feels good right now. 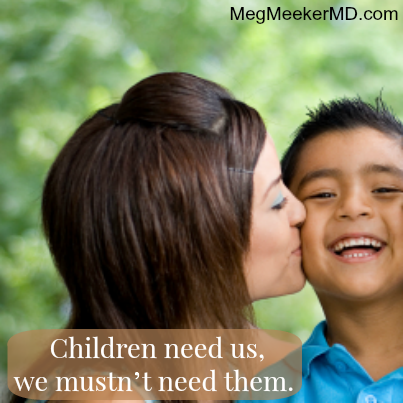 We love our children, and I believe that we do love our children, but are we looking out for them or are looking out for ourselves? Are we leaving them with a legacy of slavery to a system and a life of indebtedness or are we teaching practical principles like delayed gratification? We have got to do better for our next generation. Setbacks happen to everyone but there is a difference between a person who can’t recover and one who won’t. Work and savings aren’t ugly words. My grandfather worked three jobs to give his kids a leg up. My parents both worked to give us an education. We worked to give our kids the things they needed. We didn’t always have new stuff but we had what we needed and we didn’t work a system, we worked to be free to make decisions.